As the days get longer and the sunset stretches on well past dinner time, all things Mexican-inspired start to sound irresistible. Guacamole with fresh tomatillos, agua fresca, mushroom chile tacos topped with pickled onions and jalapeños — and who can turn down a fresh margarita or a crispy, indulgent tostada? These five recipes can serve as the cornerstone of a late afternoon Sunday supper, or make them all and invite some friends to sit around a backyard fire. Salud! Tostadas are among the most forgiving of Mexican dishes, stacked like nachos on a crispy tortilla with everything from refried beans to fresh cilantro. 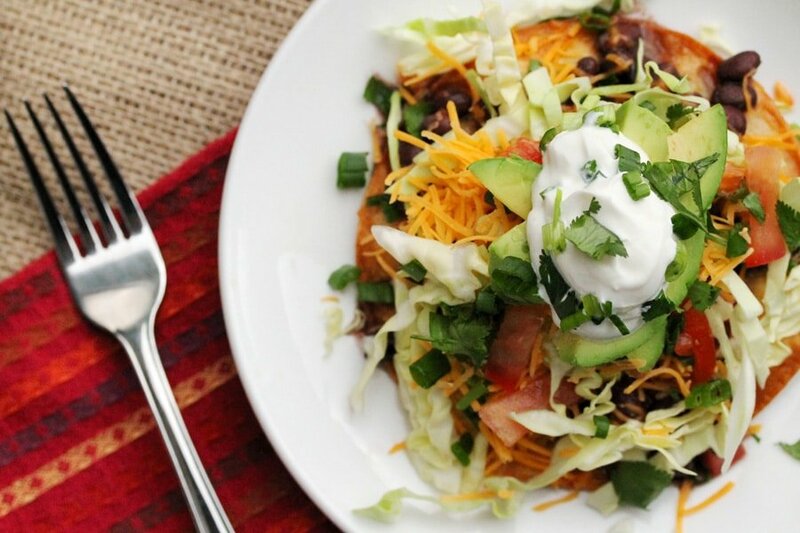 Try Rachael Ray’s recipe for tostadas topped with black beans, corn and shredded turkey, with cheese (cotija is excellent), sour cream, lime and chipotle sauce for extra kick. A little avocado wouldn’t go amiss here either. Some recipes don’t need any translating. That’s the case with this rich, gooey cheese dip, spiked with serrano chile and studded with fresh Mexican chorizo sausage. Bon Appetit’s recipe combines Monterey Jack and cheddar with beer (they say a lager, like Corona), minced onion, tomato and fresh oregano. Served hot out of the oven or in a fondue pot with some good tortilla chips, it’s a can’t-miss party appetizer. A torta is basically a Mexican sandwich, a crusty white roll piled high with meat (steak, chicken, pork, chorizo) and the classic trimmings you’d find on a taco or tostada, like queso fresco (a mild white cheese) and pickled onions. It’s also a great vehicle for ham, as made clear in this simple recipe from Pati’s Mexican Table. Made with refried beans, avocado, queso fresco, fresh tomato and fresh onion as well, these ham tortas would make an excellent weekend lunch. For more inspiration, see a slide show of 10 fantastic tortas on Huffington Post Taste. Fried egg, spinach, pork belly and roasted jalapeño? Si, ¡dámelo! 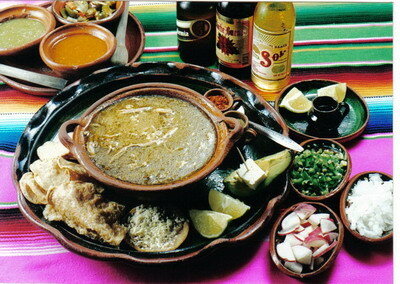 Pozole (or posole) is a Mexican stew made with tender, slow-cooked pork, hominy (corn without the hull, soaked in lye), fresh chiles and lots of toppings. You can slurp it with a spoon or pull out the meat and toppings and wrap them in fresh tortillas. A classic version is Rick Bayless’ white pozole with all the trimmings, which calls for three kinds of pork (shank, trotters and bone-in shoulder) and is best made on a weekend, when there’s plenty of time for a slow simmer. Or try Marcela Valladolid’s recipe from “Mexican Made Easy” on the Food Network, a beef shank version that’s faster and simpler. 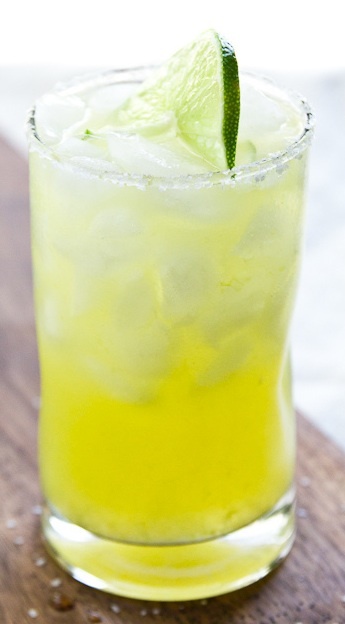 The perfect margarita doesn’t come from a mix, use bottled lime juice or require freezing and blending. No, the perfect margarita, as printed in Imbibe Magazine, is simple and fresh, the ideal thing to celebrate the coming of summer. Make this correctly, and everything else on the table will taste even better. The salt on the rim is optional. Combine ingredients with ice in a shaker and shake vigorously. Strain into an ice-filled glass and garnish. 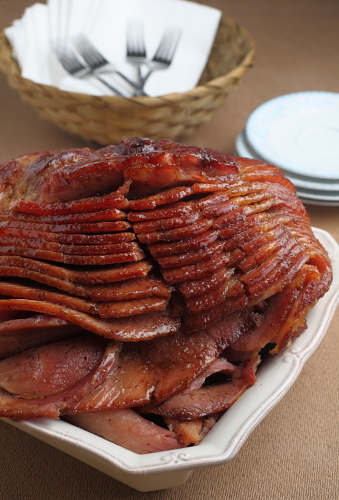 What to Serve at Your Holiday Party: Turkey or Ham? A perfectly browned turkey or a glazed holiday ham, sliced into layers like the petals of a flower. Either makes for a crowd-pleasing main course, ample enough to feed a crowd, with leftovers to spare. But when you’re hosting a holiday gathering (that isn’t Thanksgiving — turkey has the clear edge there), which do you choose for your centerpiece? What makes better appetizers for a cocktail party? If your gathering is less than two weeks after Thanksgiving, everyone might be happier with ham. A spiral-sliced, smoked bone-in or boneless ham comes already cooked, so all you have to do is warm it up, glaze it and serve. Hosting a cocktail party? For appetizers, ham is a little more decadent than turkey. For example, I served ham and cheese puff pastry squares (recipe by Ina Garten on the Food Network) for my New Year’s Eve party in 2010. They were finger food, easy to make and fantastic with sparkling wine. 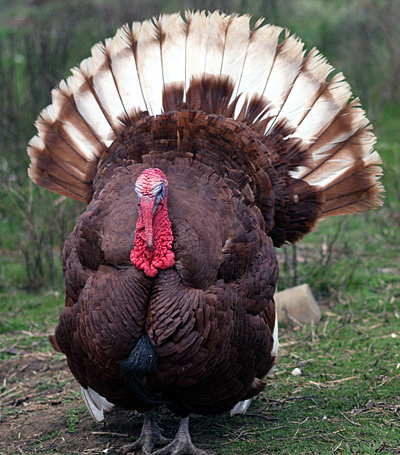 If you have picky eaters or anyone who keeps kosher on the guest list, go with turkey. 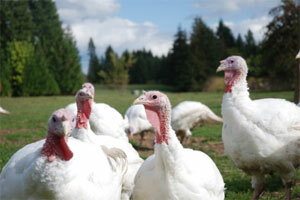 Turkey offers white meat for the dieters and dark for everyone else, and most flexitarians make an exception for fowl. If you choose, you can even roast a smaller bird (though the leftovers are so good, that’s a hard argument to make). For appetizer portions, Jennie-O is a font of great entertaining ideas based around turkey, like pesto turkey pinwheels and smoked Gouda and turkey dip. These turkey pockets are made super easy by the addition of premade dough. For something different in the weeks following Thanksgiving, try something more exotic on your turkey. Asian flavors are awesome with the neutral flavors of turkey breast meat — check out the cinnamon-orange scented turkey from Rick Rodgers at Bon Appétit (the “dry brine” salt includes star anise, Szechuan peppercorns, clove, coriander and fennel). Joanne Chang’s recipe for a turkey glazed with soy, sesame, honey and ginger, found in Food & Wine, will banish memories of Thanksgiving from your holiday gathering. Also intriguing is a recipe for a teriyaki glaze on the turkey and shallot gravy to finish. Whatever you do, be sure to save some leftovers for yourself! Enjoy. The turkey has been cooked and carved. The mashed potatoes are packed away, the pie decimated, the football games concluded. The relatives have either decamped for home or are napping, sedated by carbohydrates. Now comes the best part: Leftovers! Leftover roast turkey is a marvelous thing. This year, go beyond even the perfect turkey sandwich with these five simple recipes. Jambalaya is the ultimate one-pot rice meal, accommodating everything from spicy sausage to shrimp, crab meat and scallops. This version on Food52 incorporates “the trinity” (onion, green pepper and celery) with andouille and cooked turkey; you can substitute any beer, long-grain rice and Cajun seasoning you like. This, according to “Plenty” author Diana Henry, is the perfect dish for the day after Thanksgiving when you have leftover turkey and ham. Seasoned with nutmeg and made using premade puff pastry, it’s as comforting as it is filling. With creamy Monterey Jack cheese pulling together cooked mushrooms, spinach and leftover turkey in small corn tortillas, these quesadillas from Kim Laidlaw are simple, delicious and weeknight-dinner-fast. For David Tanis, author of “A Platter of Figs” and author of the New York Times’ City Kitchen column, leftovers are the best part of Thanksgiving. “With broth made from the turkey carcass and a pile of meaty leg meat (use the white meat for sandwiches), all that is necessary is a handful of spices and some good basmati rice,” he writes. Ginger, fish sauce (which provides umami, a savory flavor) and fresh toppings like bean sprouts, mint leaves, serrano chiles and fresh lime make this a kind of faux-pho, with preparation cut to mere minutes with premade turkey stock and already-cooked turkey. If this doesn’t leave you thoroughly inspired, The New York Times’ Mark Bittman has a whole range of ideas for clearing out the turkey (and stuffing, and your fridge. The best-looking among them: Turkey Salad with Scallions and Spicy Mayonnaise, Pan-Fried Stuffing Cakes and Garlic-Rosemary Potato Fritters. The holidays can be a thoroughly overwhelming time — even when they technically haven’t started. Getting a sense of your Thanksgiving Day feast menu in advance can ease the stress of the day, and ensure you’re not quick-thawing a 20-lb. turkey the day you plan to serve it. A home cook might compile recipes in a Word document (as I have done for years, with a fair amount of success). Even simpler, some of the sites below will make up a menu for you. One Epicurious app for Android allows you to choose the recipes you want to make, and then puts the ingredients from each one into a shopping list. So easy. 1. 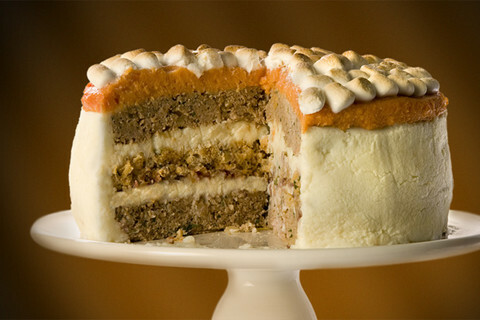 Epicurious is a great place to start for Thanksgiving recipes. I like the handy timeline; a list of budget-conscious, American wine recommendations; suggested tools; and tons of recipes from Bon Appétit, Gourmet, Sunset Living and more. I love the suggestions from fellow cooks — you can click on helpful reviews and have them print along with the recipe, a great tool — and I love this Thanksgiving menu planner. It asks six simple questions — like: How many people are you serving? Do you want something traditional, modern, exotic? Do you want the dishes to be healthy? — and then spits out a menu (I got “Ted Allen’s Modern Thanksgiving“) you can reject or accept. 2. If this is your first Thanksgiving at the stove, check out Cooking Light’s Thanksgiving for the Novice. Their suggested lineup is basic: creamy salsa dip, sausage and mushroom stuffing, honey-roasted sweet potatoes, classic pumpkin pie. But there are also dozens of fun, approachable and often health-conscious feast day recipes to be found here, including ideas for cocktails, “perfect” pies and what to do with leftovers. 3. A new site for me, and the one I’m using to plan my own meal this year, is Amanda Hesser and Merrill Stubbs’ Food52. There are ideas for how to dress up your Thanksgiving table, an approachable how-to for the Russ Parsons dry-brined “Judy bird,” and contests among home cooks to find the best recipes for Thanksgiving staples like mashed potatoes. 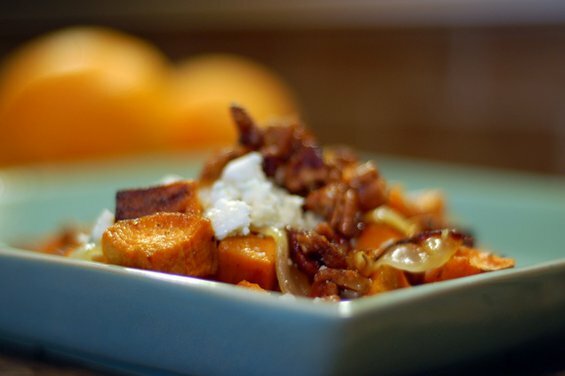 Recipes that are currently catching my eye: cider-glazed sweet potatoes with bacon, pecans and blue cheese (below); beer-and-bacon glazed collard greens; crispy delicata squash rings with currant, fennel and apple relish. If you like a recipe, you can click the button with the little turkey on it that says “Add to My Menu” and it pops the recipe into a Thanksgiving file. I love this. Photo from SuperStarter on Food52. 4. A few other sites to try include Martha Stewart Living’s Everything Thanksgiving (it does literally look like EVERYTHING, from appetizers and side dishes to fall centerpieces and projects for the kids). I like the practical thrust and the nice visuals at the Food Network, which is a great place to find themed recipes for a Paula Deen-style Southern menu or a failsafe batch of ideas from science guru Alton Brown. If you want how-to videos, this is also the best place to start. Finally, if you like moral support in your cooking adventures, start with the Thanksgiving recipes at Chow, the site connected to the active Chowhound forums. Search the Home Cooking board before you ask your question; chances are, it has been asked (and answered, in detail) before. What are your favorite Thanksgiving Recipe sources? Happy Cooking! 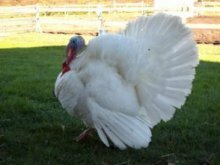 Every November, people wrestle bulky birds into bags of brine, slopping all over the kitchen and making a mess in the name of a more tender turkey. Wet brining — making a solution of water, salt, herbs and spices in which the turkey would sit for 12 to 24 hours — is undoubtedly a fine way to infuse flavor into a conventional store-bought turkey (most of which have been bred for size, not taste). But dry brining is so much simpler, and the results are so consistently good, that there’s no shame in taking the easy way out. A dry-brined turkey, called “The Judy Bird” after Zuni Café owner Judy Rodgers, who pioneered the technique. Photo credit Food52. 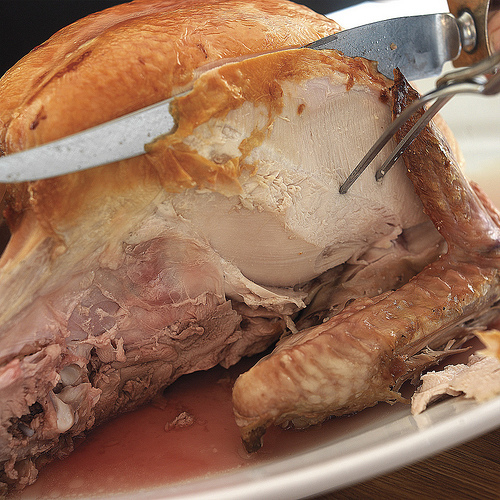 To dry brine your turkey, begin the Sunday night before Thanksgiving. Just before roasting, give it a few hours uncovered in the fridge so it dries out (that will help the skin get golden brown). To store the turkey, you can put it in a sealable plastic bag, or simply cover it with a towel. It should be breast-side up; turn it occasionally. 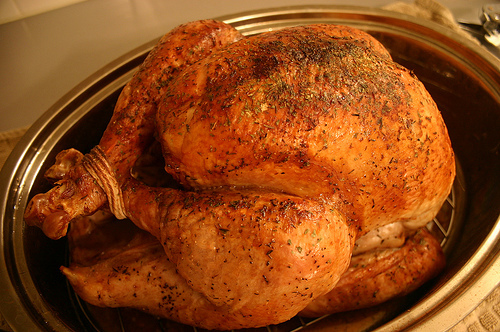 When you’re ready to cook, give the turkey about an hour to come to room temperature. Then roast as usual — Rodgers recommends a higher heat, about 425°F, rotating midway through to make sure the skin gets evenly browned. Find other converts to the dry-brine method at the LA Times, Food52 and Martha Stewart Living. It’s time. 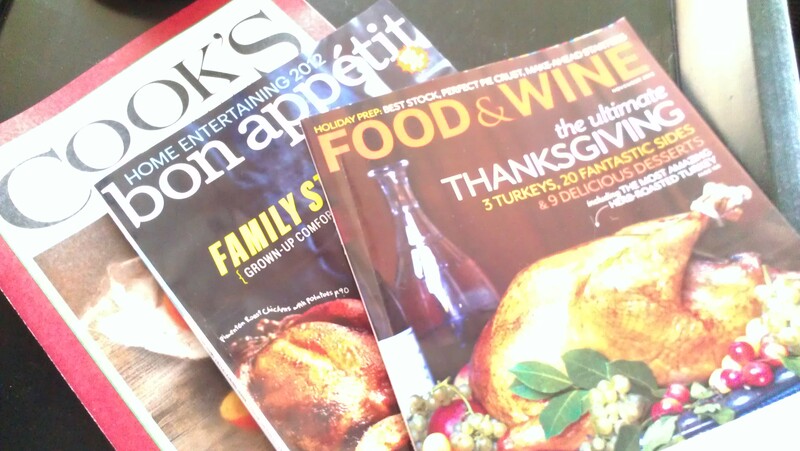 The Thanksgiving-themed glossy food magazines have arrived! Salted roast turkey with herbs and shallot-Dijon gravy, by Rick Rodgers, Bon Appetit, November 2008: This is hands down my favorite way to prepare Thanksgiving turkey. The salt dry rub is much easier than a wet brine (no watery mess!) and the rosemary, sage and thyme are a classic holiday combination that make the meat incredibly flavorful. Read the comments for more ideas and tips, but you really can’t go wrong here. 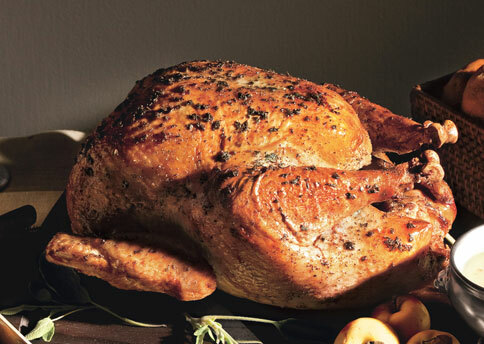 Salted roast turkey with orange, fall spices and sherry gravy from the same issue uses the same technique, but with an Asian twist; spices include star anise, Szechuan peppercorns, clove, coriander, fennel seed, cinnamon and orange peel. Roast heritage turkey with bacon, sage and herb butter; Bon Appetit, November 2008: It’s the compound butter that makes this bird, studded with thyme, sage, lemon peel and applewood-smoked bacon. You can change-up the recommended vegetables (onion, celery, fennel, carrots and apples) with whatever you like best. Shown above, sourdough stuffing with sausage, apples and golden raisins by Jeanne Thiel Kelley; Bon Appetit, November 2009: It’s important to use a good hearty sourdough here, ideally from a bakery (not the grocery). Let it sit out for a day or two before assembling this dressing. Tart baking apples are best in this. Brussels sprouts with crisp prosciutto; Cooking Light, December 2003: An easier take on the sprouts. Sub bacon if necessary. Butternut squash and cheddar bread pudding, by Molly Wizenberg; Bon Appetit, November 2oo9: A perfect main dish for the vegetarians at your Thanksgiving table, this wonderful recipe combines sharp cheddar cheese, Tuscan kale and lots of eggs for a divinely rich entrée. Over the next few weeks, we’ll be sharing ideas for green salads and sweet potato side dishes and exploring the many aspects of your holiday turkey, from brining to carving, plus the best recipe sites and who to ask for help. 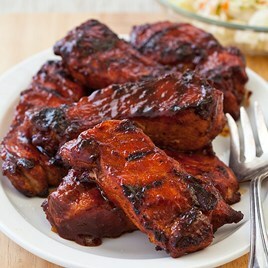 For more magazine recipe testing, check out the guys at The Bitten Word. Each year they do a “Fakesgiving” where they invite over family and friends to try out holiday recipes from that year’s food magazines. It’s pretty great. 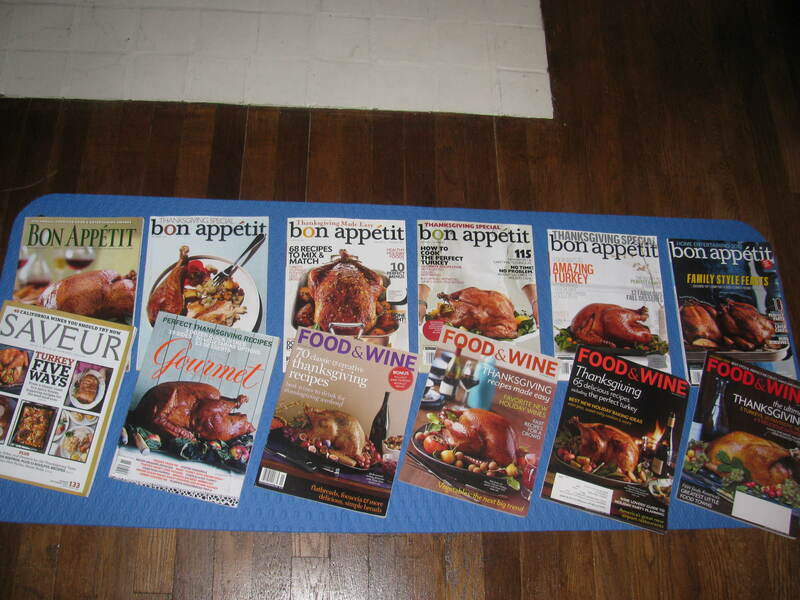 What are some of your magazine recipe favorites for Thanksgiving? Be sure to check back as we will have more to share!